Product prices and availability are accurate as of 2019-03-30 18:58:05 EDT and are subject to change. Any price and availability information displayed on http://www.amazon.com/ at the time of purchase will apply to the purchase of this product. Marjoram is a culinary and medicinal herb in the mint family. It can be used in spells of love and added to food to strengthen love. Carried it has protective properties, as well as when placed in the home, a bit in each room, and renewed each month. Violets and Marjoram mixed together are worn during the winter months as an amulet against colds. 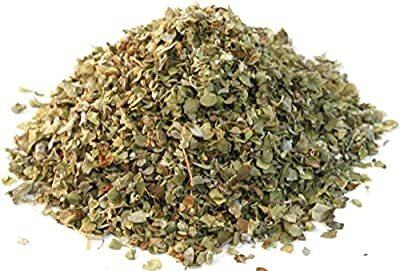 Given to a depressed person, marjoram brings happiness. It can also be used in Money mixtures and sachets. Keywords: Protection, Love, Happiness, Health, Money This herb is 100% certified organic!